India is one the best wildlife destinations in the world due to its divers flora and fauna. 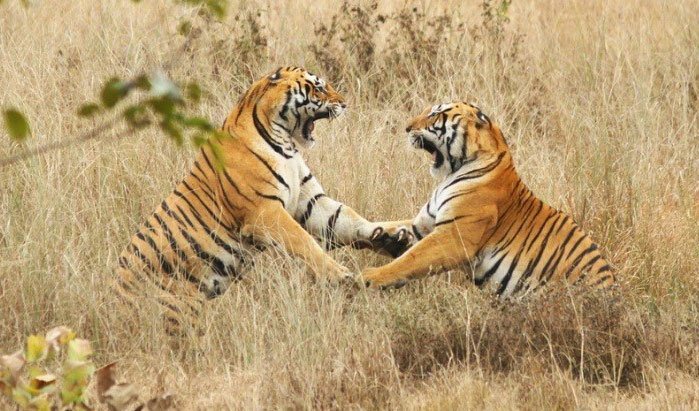 Around 50% of world's wild tigers roar in Indian National Parks and Wildlife Sanctuaries. India also boasts as the last home for Asiatic Lions. Not only this, the reserves here have healthy populations of Wild Elephants and highly endangered One-Horn Rhinos. These are the prominent wild animals residing in the protected forests, however the jungles also have mammals, antelopes, reptiles and many more species. Due to its varied topography, India has numerous bird sanctuaries where migratory as well domestic birds reside turning into bliss for bird lovers. The authorities have come up with various ways to explore Indian Jungles such as jeep safari, trekking, boat rides, rickshaw ride etc. In this trip, we have combined three most popular tiger reserves of India located in Central part of the country and one in Rajasthan. Kanha National Park of Madhya Pradesh is considered as one of the most beautiful jungles in India having huge variety of wildlife. 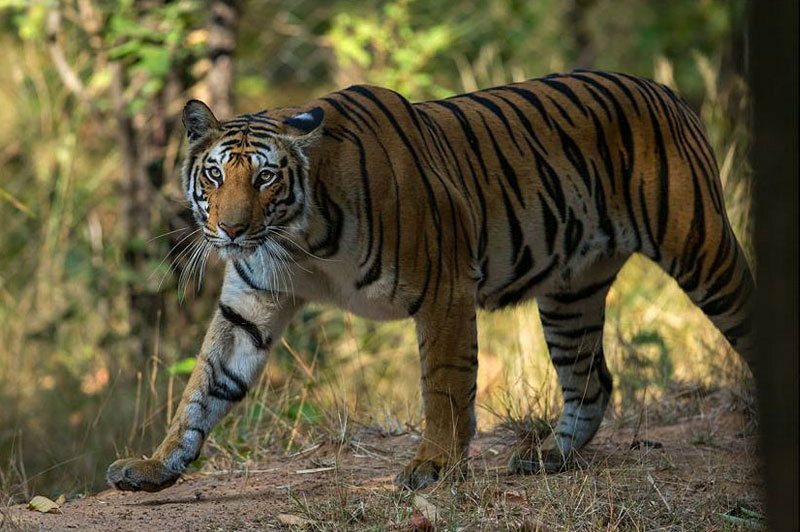 Whereas Bandhavgarh has more tiger density in the forest thus offers excellent opportunities for Big Cat sighting. Ranthambhore is a semi desert park of Rajasthan and has a great place for wildlife photography. The dull background of the reserve turns out to be the best to catch the Royal Bengal Tiger in the frame. We have specifically designed this trip from April 05 onward because this is the best month for the tiger safaris when the parks offer maximum possibilities of tiger sighting. In the beginning of April, when the water bodies get dry inside the park therefore the animals come out from the core areas to drink the water near to the safari tracks where the big water bodies are located. The skies are often clear blue in this time of the year therefore the ideal time to explore the Indian Jungles. As India is known for its monument of love - Taj Mahal, hence to enhance the experience of the trip we have included it with tiger safari. 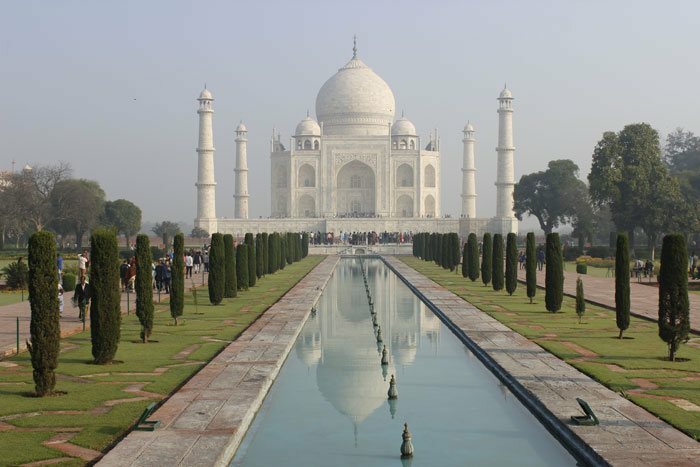 Taj Mahal is one of the best UNESCO World Heritage Sites and Seven Wonders of the World. The architecture of this 17th century Mughal monument has impressed the travelers from around the world. This trip is a special combination of Taj and the Tiger as April is probably the coolest month in summer when you can experience the Taj Mahal at its best during both sunset and sunrise. You will be traditionally welcomed upon arrival at Delhi airport and further transferred to the hotel near to the international airport. We will assist you in check in at the hotel and assign the room. Relax in your comfortable room after a long flight to India. Today, enjoy the leisurely breakfast in the hotel and then check out. 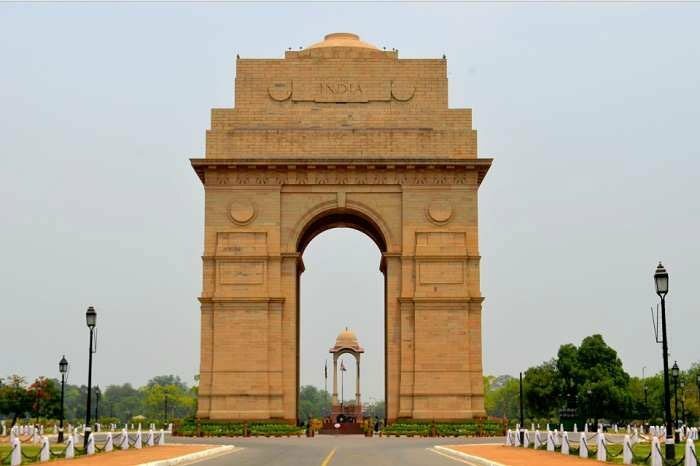 Leave Delhi for city of Taj – Agra in your comfortable air-conditioned vehicle. On arrival in Agra, have the delicious lunch at the local restaurant and then proceed for check in. After taking a short rest in the hotel, start the guided tour of Taj Mahal located on the banks of Holy River Yamuna– arguably the most photogenic monument in the world made by Mughal Emperor Shah Jahan in the memory of his beloved Empress Mumtaz Mahal. Spend the time inside the picturesque complex taking the pictures from various angles as explained by our knowledgeable guide. After our visit to Taj Mahal, we will visit a marble inlay work factory to understand the workmanship of this World Heritage Site. Enjoy your Indian dinner and stay at the hotel. After breakfast, check out from the hotel and depart for our first tiger safari to Ranthambhore National Park of Rajasthan. On arrival, check in to the resort. Post lunch, we will embark our afternoon jungle safari into the tiger reserve along with an expert naturalist. The park is spread in 1334 Sq. KMS of area and has many water bodies and lakes, here we can spot various birds, wild animals and sometimes tiger too. Nestled ideally at the confluence of Vindhyan Plateau and Aravali Mountains, Ranthambhore is truly a natural heritage site of Rajasthan. 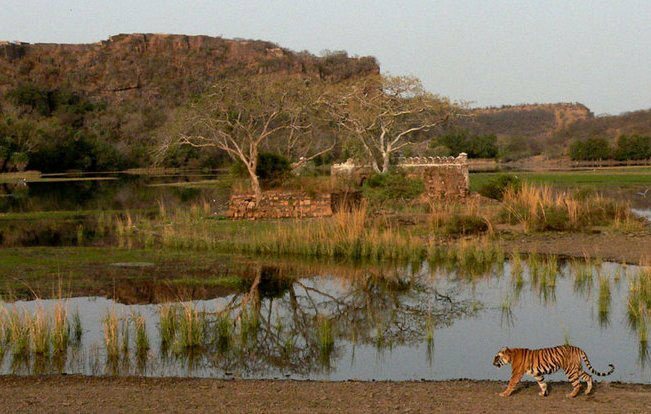 Banas and Chambal – the famous two rivers of Rajasthan flow through Ranthambhore Tiger Reserve. Return back to the resort after the safari. The evening is free to enjoy the lavish Rajasthani dinner. Wake early morning in the beautiful jungle abode of India. After having a cup of tea/coffee with cookies, start another wildlife adventure to the national park while taking a morning jeep safari. Ranthambhore has some of the spectacular characters like Padam Talao alias Lotus Pond and adjoining to the lake is Jogi Mahal – a historical palace inside the park. Apart from the Royal Bengal Tiger, the other major wildlife spotted in the park are wild cat, various antelopes, leopard, jackals, wild boar, sloth bear, hyena and marsh crocodiles etc. After coming from the morning safari, have breakfast at the hotel and relax. You can take the dip in the beautiful swimming pool at the resort. One has option to take the traditional Ayurvedic massages. Have afternoon tea/coffee and we will again meet our jeeps and naturalist to take another afternoon safari inside the park. 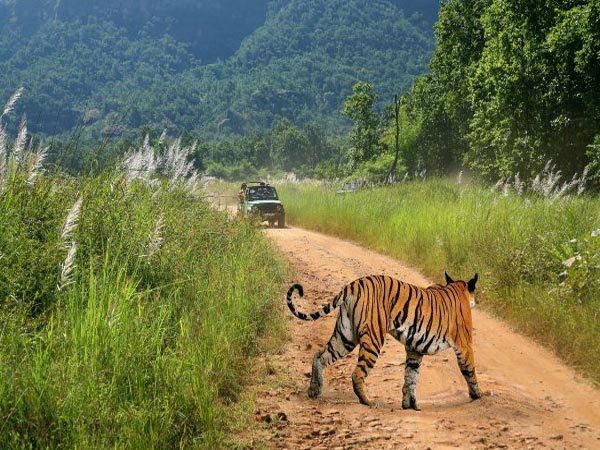 This time, we will visit another zone of the tiger reserve viewing numerous wild animals. Ranthambhore has over 270 bird species including resident and migratory. The national bird of India – the peacock is one of the most famous birds of the park. The other spotted birds are eagles, kingfishers, partridge, owls, storks, ducks, spoonbills, geese and parakeets etc. Return to the resort after the safari and treat yourself through the favorite drinks along with dinner before retiring for the day. Spend another day in the wilderness of India. After having hot Masala Tea, start the morning jeep safari into the forest. In Ranthambhore, we can spot many Langur monkeys in healthy numbers. After taking jungle safari, take the breakfast at the hotel and enjoy the day in optional activities. In the afternoon, we will take our last wildlife safari in the tiger reserve. Return to the hotel and freshen-up. Later, you will be transferred to the station to embark the overnight train journey. We will carry our packed dinner with us from the hotel and have it in the train. Sleep for the night in the sleeping compartment of Indian Railways. On arrival at Katni station after the train journey, we will welcome you and transfer further to Bandhavgarh National Park through an air-conditioned vehicle. Arrive at the resort and check in. After relaxing in your room, you will be served delicious lunch in the restaurant. 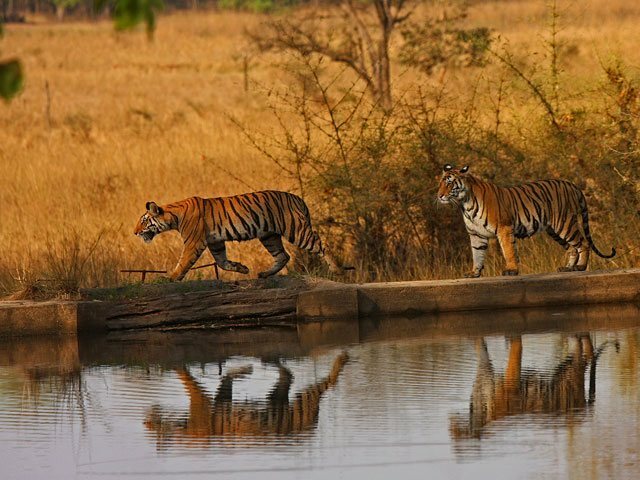 In the afternoon, take the safari into Bandhavgarh Tiger Reserve. The park is very famous for the sighting of Royal Bengal Tiger, however it used to be a hunting area for Rewa royal family in princely India and was declared as Indian National Park in 1968. 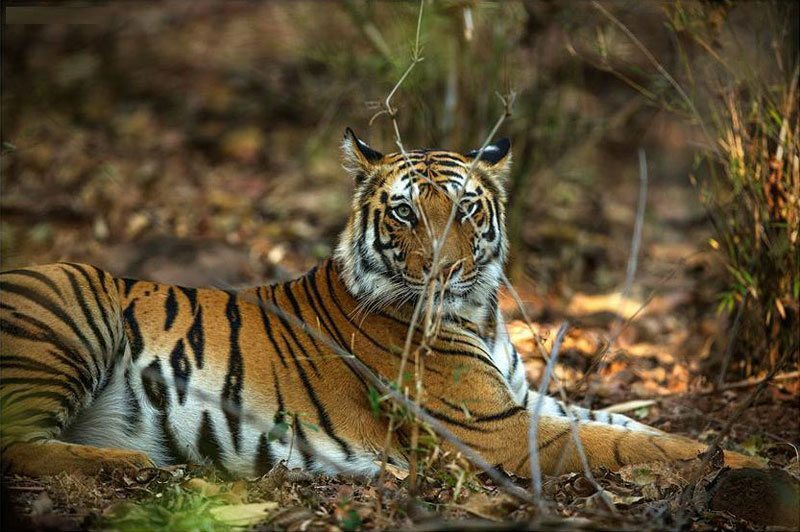 Thick forest of Bandhavgarh is surrounded by Vindhyan Mountains and is full of grasslands making it a suitable abode for tigers and other mammals. Return to the wildlife resort after the wonderful jeep safari and enjoy the beverages followed by mouthwatering cuisine. Wake up in the land of White Tigers and start the day with Indian tea/coffee. Start another jungle safari with our knowledgeable naturalist. Bandhavgarh is a home of various birds like Egrets, Vultures and other 250 species. The park has now been extended further and covers an area of 437 Sq. KMS. The forest is blessed with various mixed plants but majority of them are Sal and Bamboo Trees. Return to the resort and have breakfast after an adventures wildlife experience. Rest of the time is free to take a cool dip in the pool or walk through the nearby villages. Evening is free to talk with our naturalist about the rich tales of the jungle over a drink and later the dinner. Bandhavgarh National Park remains closed for afternoon safari on every Wednesday. 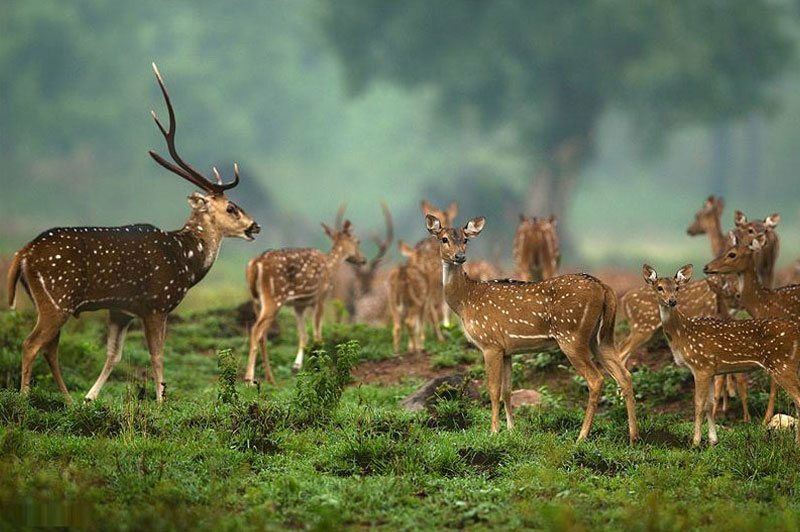 After taking the morning tea, visit the national park again to track the Royal Bengal Tiger and other wild animals like spotted deer, Nilgai, Wild boar, elephants and Chinkara. Say good-bye to Bandhavgarh Tiger Reserve for the wonderful memories. 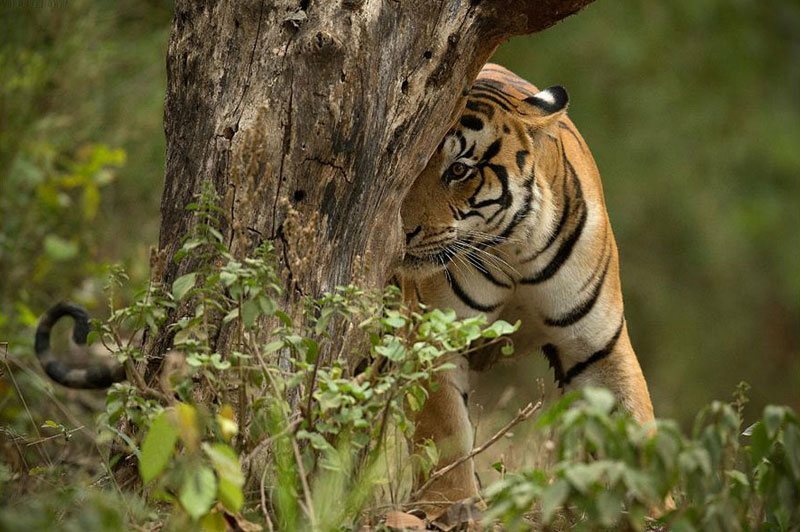 Today, we will check out after the breakfast and leave for our final and the finest wildlife destination of Central India– Kanha National Park. Upon arrival in Kanha, enjoy the welcome drink and we will complete the swift check in process. The rest of day is at your discretions or walk through the nearby countryside. The dinner will be ready to be served at the restaurant. Enjoy the morning hot beverages with cookies and begin the morning game drive to the jungle. The forest is really big and sometimes, gives us the feeling that it will never end. It has beautiful landscapes, high density of undergrowth and trees thus really different from the previous two parks. Return to the resort after an awesome safari and enjoy the breakfast. Reminder of the time is to indulge in leisure activities like pool, books or just relax. Post-afternoon snacks and tea, we will take another jungle expedition to track the wild animals especially the tiger. 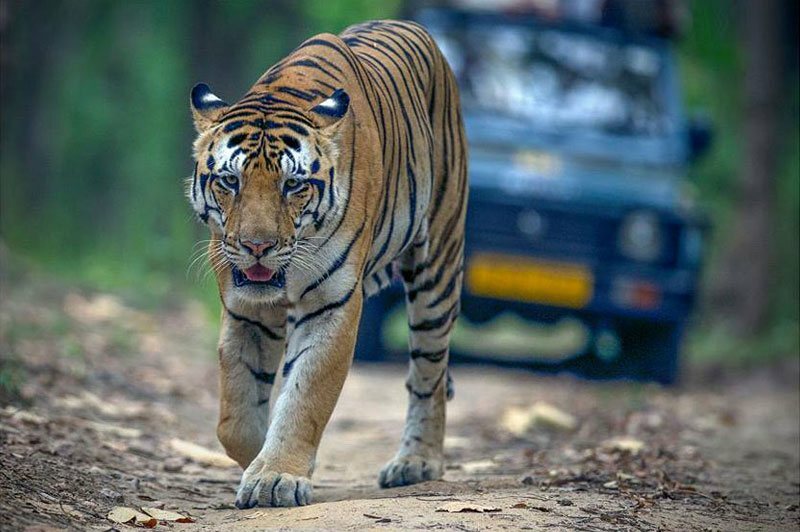 Be ready with your cameras to capture the unforgettable beauty of the wilderness in Kanha. Our naturalist and driver will put their maximum efforts to show us the prominent wildlife. Today will be our last day for the Indian Wildlife Adventure. 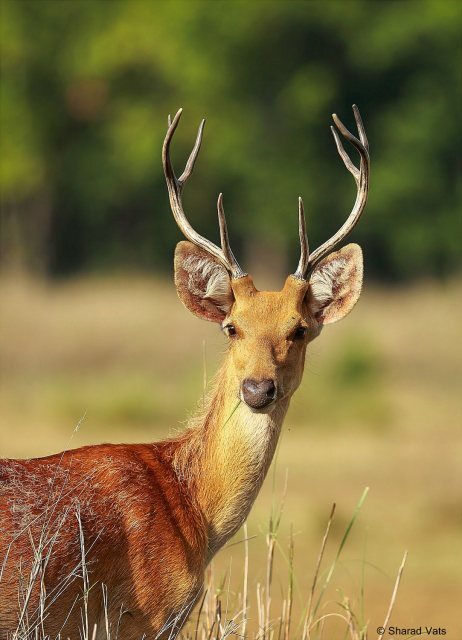 Start the last tiger safari in the dense jungles of Kanha, you might be lucky to see the endangered specie like Barasingha. 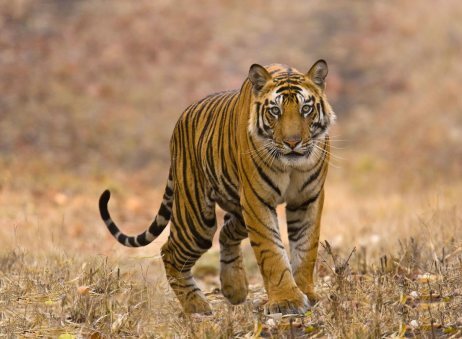 This Tiger reserve is regarded as one of Asia’s best-preserved parks. It is bliss for bird watchers and has over 175 different species of domestic and migratory birds. Post breakfast, check out from the resort and depart to Jabalpur airport to embark the flight to Delhi. Upon arrival at Delhi, transfer to the hotel near to the airport. Enjoy the farewell Indian dinner. At appropriate time, we will transfer you to the international terminal to board the flight to your respective countries with beautiful memories of Indian Jungles and Royal Bengal Tiger. The tour ends here.